PERFECT FOR A ONE WEEK GET AWAY - Thinking about that well deserved vacation? Think about how you'll enjoy it instead of how you'll pack it with this spacious check in. STORES WELL, PACKS A TON - Thinner than a standard carry-on but deeper, this bag can pack more than you think. The extra side pockets are perfect for goodies that need to be accessed more quickly. Need to put it away? Flatten it out to store it discreetly in a closet or even under your bed. EASY TO SPOT - Our brightly colored bags make them easy to see anywhere you go. Be one of the first to leave the baggage claim and spend more time traveling instead of waiting. 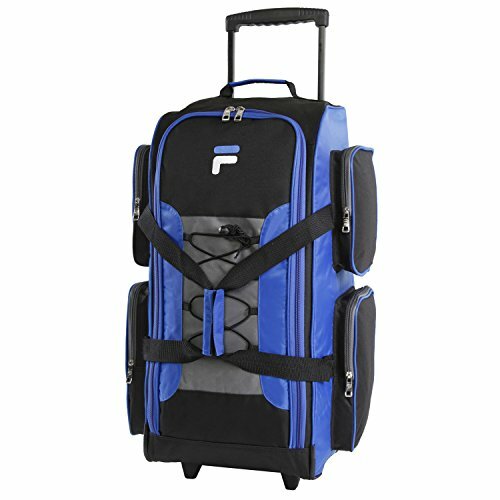 TRAVEL FRIENDLY - The zip away, extendable handle and smooth gliding recessed inline wheels make getting around a breeze. Less strain on you will always equal a better trip. Buy today!